Editor's note: An earlier version of this story incorrectly described one aspect of the companies' dispute over Suzuki's A-star minicar. The disagreement centered on laser welding and spot welding. It was a tense, two-hour summit at the Frankfurt Sheraton hotel. For months, Suzuki Motor Corp. and Volkswagen AG had been sparring over their unraveling alliance. Now, Suzuki Executive Vice President Yasuhito Harayama was about to drop a bombshell. The date: Sept. 9, 2011, days before the Frankfurt auto show. VW, Harayama warned, had three days to say whether it would start negotiating an end to the ill-fated capital tie-up with Suzuki, or Suzuki would go public with its demand that VW sell off its 19.9 percent stake. Chairman Osamu Suzuki, who had inked the much-ballyhooed alliance with VW a mere 21 months earlier, already was preparing for a news conference the following Monday in Tokyo -- where he would blast his German partner as a "ball and chain" and demand a "divorce." A filing to the Tokyo Stock Exchange was all ready to go. Harayama, a feisty negotiator hired by Suzuki from Japan's powerful Ministry of Economy, Trade and Industry, had flown to Germany to deliver the ultimatum to VW Vice President Detlef Wittig. 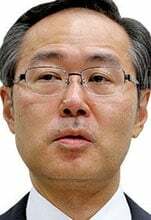 "The alliance is meaningless," Harayama told his interlocutor, according to internal Suzukidocuments chronicling the demise of the alliance that were obtained by Automotive News. "Our engineers have lost the desire to cooperate with VW." A tipping point, Harayama added, came during an earlier top management meeting. The Suzuki side presented VW CEO Martin Winterkorn a list of complaints. But the tactic backfired. According to Suzuki's version of events, instead of contemplating Suzuki's suggestions for mending relations, the ticked-off German surprised the Japanese by pounding the table in irritation. "With this, we understood that it is impossible to work with top management to resolve the front-line problems," Harayama told an off-guard Wittig, who insisted he hadn't come to the meeting to negotiate with Harayama. "We want a 'yes' or 'no' answer about whether we will hold joint discussions," Harayama demanded before excusing himself to catch his flight home. A satisfactory answer never came. The next Monday, Osamu Suzuki, the bushy-browed patriarch of the tiny Japanese maker, went in front of the press to demand his "divorce" from the German giant. In an era in which industry consolidation is again being urged by leaders such as Fiat Chrysler Automobiles CEO Sergio Marchionne, the VW-Suzuki tie-up provides a cautionary tale. Common wisdom held that it would be a boon to both players. Suzuki would gain access to next-generation, fuel-efficient powertrain technologies and advanced markets while VW would get help tapping India and learn low-cost manufacturing. Yet two years later, the honeymoon came to a crashing halt without the realization of a single joint project. 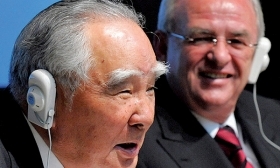 Suzuki Motor Corp. CEO Osamu Suzuki speaks at news conference with Volkswagen AG CEO Martin Winterkorn in 2009. Suzuki spoke to the press again in 2011, this time demanding a “divorce” from the Germans. The episode above and the details that follow largely are taken from Suzuki documents that were reviewed by Automotive News. They offer an insider's peek, from Suzuki's vantage point, into how the partnership imploded: from failed efforts to cobble joint projects and mutual recriminations of breached contracts to a bitter tailspin into estrangement. Suzuki provided only limited comments about the dispute. VW declined to comment. The fresh insights from the documents emerge as both sides await the result of protracted arbitration meant to finally end their nearly four-year feud. Speaking at his company's annual shareholders meeting on June 26, Osamu Suzuki confirmed that the proceedings, which began in November 2011 at the ICC International Court of Arbitration in London, had concluded. Both sides are now standing by for the decision. "We are embarrassed by the fact that the arbitration took so long," Suzuki said. "We will disclose the conclusion as soon as it comes out." Arbitration may in fact salvage some kind of a partnership. Both companies are legally bound not to comment publicly on the hearings, and few details have leaked. But some outsiders aren't betting on reconciliation. To be sure, the internal documents that Automotive News reviewed archive mounting discord that chilled initial optimism. Most analysts say separation is a forgone conclusion. "We assume Suzuki is offered the opportunity to repurchase its shares," wrote Kurt Sanger, an auto analyst with Deutsche Securities Japan. The plot thickened in June, when Osamu, the outspoken boss of his namesake carmaker, appointed his son president and likely successor. Some observers wondered whether the company's stance toward VW might soften with the 85-year-old chief clearly planning succession after nearly four decades at the helm. "But it is taking so long," Suzuki said of the arbitration. "So I decided not to wait and announced the management change." "Suzuki had postponed the drafting of a new medium-term plan due to its ongoing dispute with VW," J.P. Morgan auto analyst Akira Kishimoto wrote in a report on the management overhaul. "Although we do not expect the personnel changes to significantly affect Suzuki's management vision, we believe resolution of the dispute with VW will likely take more time." Suzuki Motor declined further comment on the alliance with VW, citing the ongoing arbitration. But spokesman Ei Mochizuki said his company moved to end the partnership after being denied access to VW technology the company claims it was promised in the initial framework. "We entered into the framework agreement in December 2009, recognizing each other as independent, equal partners and in so doing, agreed to facilitate, among other things, access to Volkswagen's core technology," he said. "But we couldn't access Volks-wagen's core technology, so we couldn't have continued our alliance. So we terminated the framework agreement." VW's senior vice president for communications, Andreas Lampersbach, also declined comment on the Suzuki alliance, citing the pending decision by the arbitration court. In the past, VW said it was disappointed by Suzuki's demand for a breakup and called the step "without foundation." It has long maintained it intends to keep its holding. With the dispute reaching a crescendo in early November 2011, Volkswagen AG said it no longer was classifying Suzuki Motor Corp. as an "associate," retracting wording that angered Suzuki. "The opportunity to exert notable influence upon Suzuki is, for the time being, no longer available," Volkswagen said, according to press reports at the time, adding that it had begun listing Suzuki under "other holdings." It was too little, too late. Suzuki initiated arbitration later that month anyway. In the documents, Suzuki comes across as growing obsessed with independence, wary of VW's intentions and sensitive of its stranglehold on India and expertise in emerging markets. Laid bare are the small manufacturer's weaknesses in advanced drivetrain technologies and developed markets -- and its shattered hope to enter the global hybrid vehicle race in 2012 with an electrified version of its Swift or SX4 compact cars. "The most important reason for this partnership is for Suzuki to survive," one document concedes. Meanwhile, executives in Wolfsburg seemed eager to learn Suzuki's winning formula for low-cost cars and enlist the Japanese carmaker's help in penetrating hard-to-crack India. But over time, Suzuki seemed to feel that the German juggernaut, with its upper hand in size, financing and global reach, was hoarding its own toolbox of technologies, which Suzuki so badly coveted. In the end, Suzuki couldn't shake the suspicion that VW planned a power grab by acquiring a controlling share in it. And memos reveal a sense of exasperation among VW executives about what it saw as a failure to communicate and Suzuki's lack of patience. Trust gradually evaporated. And years later, both sides still are feeling the hurt. VW continues to struggle to jump-start its fledgling business in India, a promising emerging market. And the collapse of the technology exchange stalled Suzuki's rollout of hybrid cars and likely hastened its embarrassing withdrawal from the U.S. in 2012. At one point in the negotiations, Suzuki hoped VW would supply its Jetta Hybrid sedan and other vehicles through Suzuki's North American sales network, the documents revealed. Tweaking its own cars to meet American specifications increased Suzuki's development man-hours by half. "It is becoming difficult for Suzuki, a company focused on compact cars, to bring together a North American product line sufficient to continue operating a N. American sales network," Suzuki said in one document before the tie-up that outlined the items it wanted incorporated into a VW agreement. "The development cost burden is heavy." Indeed, high hopes for joint projects quickly fizzled. 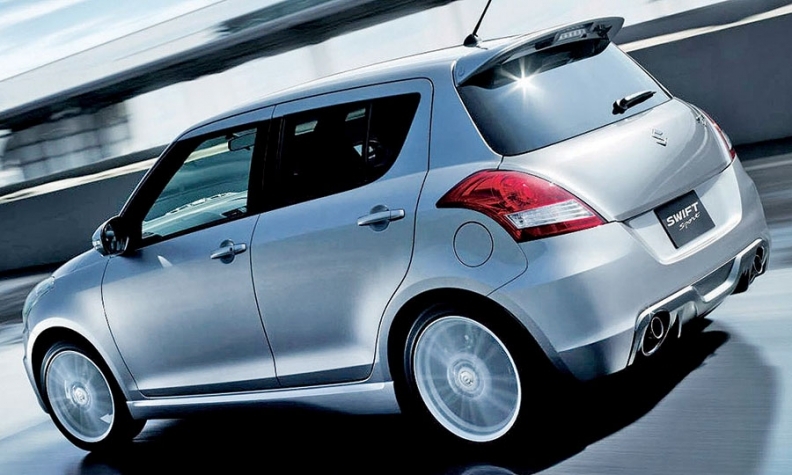 Suzuki wanted VW's help in developing a hybrid system to deploy in its SX4 or Swift by the end of 2012. Suzuki also asked for VW's assistance in battery packs for electric vehicles. But Suzuki said VW never complied. Suzuki, for example, demanded open access to full technical information partly so the company could provide proper aftermarket service to the hybrid vehicles, documents said. Volkswagen AG countered that it doesn't even share such sensitive hybrid information with its own luxury subsidiary Audi. Meanwhile, the Germans chafed at what they saw as Suzuki's reluctance to commit manpower. "Any number of people can be assigned if it brings advantages to your side, but I can hear that people cannot be invested to benefit VW," Wittig told Harayama in an April 2010 meeting. "Are you trying to get technology transfers without allocating up to the adequate numbers of people?" The companies discussed supplying VW with versions of Suzuki's A-Star minicar to sell in India and Europe, Suzuki's Wagon R to sell as a rebadged Skoda and an SX4 to rebadge for Seat. At one point, VW also requested 315,000 units of Suzuki's India-made K12B 1.2-liter engine. The two also talked about selling locally produced VW cars through Suzuki's sales network in India. The A-Star project epitomized the divisions. Suzuki complained it spent four months doing a cost comparison between the A-Star and the VW Up! VW's conclusion, according to the documents, was that it didn't need the A-Star for Europe after all. "We were responsive despite our lack of manpower, but it resulted in a waste," Suzuki wrote in one document listing points of negotiation. Both sides then argued about the July 2012 start-of-production timeline for the downsized project that would target India only. Suzuki claimed VW dragged its feet on submitting key computer-aided design data needed to give the VW-badged car distinct external styling. As a result, Suzuki wanted to delay production; VW wanted to stay on target. "Suzuki lacks manpower, and one of its objectives from the partnership was to have VW personnel supplement the manpower lack," said one internal report from summer 2011. "Nevertheless, Suzuki's manpower burden was actually increased instead." VW, Suzuki argued, threw another wrench into the plan by insisting that its A-Star be laser-welded, instead of spot-welded. VW also grumbled, according to the Suzuki documents, that Suzuki's prices for the rebadged vehicles were too high and wouldn't guarantee fat-enough margins. But in the end, it was nagging distrust about VW's intentions that scuttled the A-Star and that undermined the entire alliance. The flashpoint was VW's decision to apply the equity method to its shares in Suzuki for accounting purposes, an issue that became aired in public in 2011. Under this method, the investing company logs its share of the profits or losses booked by the partner company. The approach raised hackles at Suzuki because it usually applies when a company owns more than 20 percent in an "associate" company and can claim influence over the decisions of that company. To the Germans, VW's 19.9 percent stake was close enough to make that claim, infuriating Suzuki, as was reported at the time. The issue dominated a January 2011 meeting between VW and Suzuki executives. Frank Schakau, who was then head of VW's Suzuki cooperation office, said the German company had "no other choice" but to use the equity method, saying the 19.9 percent triggered its automatic application. "It must be used," he said, according to notes of the meeting. Then-VW Vice President Hans Demant tried to reassure his Suzuki counterparts that "we don't believe the equity method means that VW will wield its power over Suzuki." "Chairman Suzuki can never tell the shareholders that he is subject to great influence from VW," Harayama countered. "VW lacks respect for Chairman Suzuki's thinking behind his setting the equity ratio not to 20 percent but to 19.89 percent." The documents show Suzuki also was wary of what it saw as VW's assertion that VW needed an even bigger stake if it were to entrust Suzuki as its global development center for small cars. Suzuki was angling hard to be entrusted with this duty on behalf of the VW Group. But anxieties began bubbling as early as April 2010. VW had its own reasons for cementing a strong bond with Suzuki. It wanted to block any outsized influence from an interloping rival. "Ownership stability is required in order to have you take responsibility as a development center," Wittig told Harayama at an April 15 meeting, according to the documents. "If you become a development center, the VW Group will rely on Suzuki, and our fate will be shared," he said. "Although it is not that we don't trust you, we don't know what will happen in the future. The future may bring concerns that you will be controlled by another company." Indeed, Suzuki was turning to VW because it recognized its need to shelter under the wing of a global powerhouse. For years, it had circled wagons with General Motors, which eventually raised its stake in the Japanese company to 20 percent. GM sold its last remaining shares in 2008 as it raced to raise cash on the eve of its bankruptcy. In the autumn of 2010, then-VW Chairman Ferdinand Piech fanned suspicions by telling Suzuki that VW would need a 33 percent stake to ensure smooth technology transfers, the documents say. For its part, VW tried to allay Suzuki's concerns about a secret takeover until the end. At the September 2011 meeting with Harayama in Frankfurt, Wittig tried to calm the waters. "VW always regards Suzuki as an independent, self-reliant entity," Wittig said, according to a meeting memo among the Suzuki documents. "Both in the past and in the present, we have never thought to bring Suzuki under VW's umbrella. We have never intended, nor do we now intend, to increase our investment in Suzuki." But by that time, both companies were accusing each other of breaching contracts. VW said Suzuki didn't honor the alliance, complaining that Suzuki was buying engines from European rival Fiat instead of VW. Suzuki said VW welched on an agreement to compensate Suzuki for a penalty it paid after yielding to VW's request that it break a contract with Austrian engineering firm AVL List GmbH. It also claimed VW broke the bargain by not sharing its promised technology. Suzuki hoped to develop a hybrid system with Volkswagen's help for its SX4 or Swift, above. VW said it doesn't even share sensitive hybrid information with its Audi subsidiary. The public barbs only deepened the distrust, and Suzuki took them almost personally. "Suzuki's reputation is damaged," Harayama charged during a late 2011 meeting with Demant, according to meeting notes. 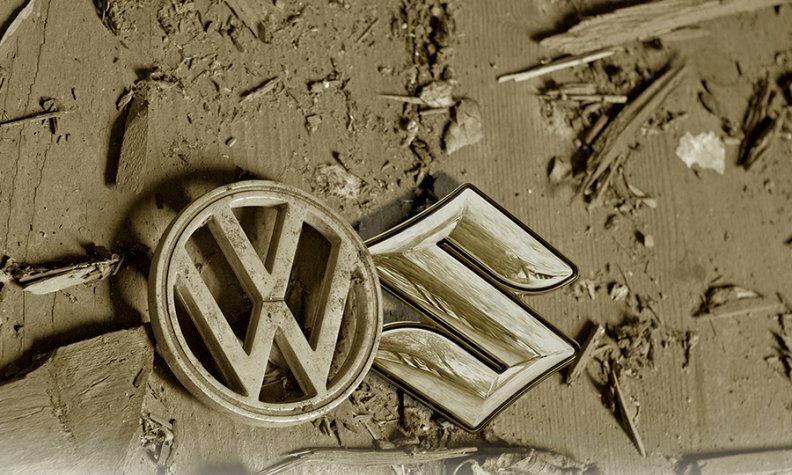 "Unless VW retracts its allegations of contract breach, it will not be settled and finished. Suzuki will do whatever it takes to restore its good name." When Suzuki finally gave up hope, it suggested face-saving excuses, in true Japanese style, that VW might use as a fig leaf for the acrimonious breakup. Among them, Harayama suggested both companies could announce a congenial end because "VW already successfully learned enough about compact car development and production from Suzuki to raise its own level." Another: Suzuki no longer could cooperate because it was preoccupied with recovering from the killer earthquake and tsunami that hit Japan in March 2011. But for whatever reason, be it underestimating Suzuki's resolve, still hoping for a cooperative solution or simply stalling for time, VW didn't bite. Even as Harayama incessantly demanded an end to the alliance at their meeting, Demant instead insisted on leaving a door open. "There were misunderstandings between VW and Suzuki," Demant said, before adding with seemingly little hint of irony: "VW wants to understand what kinds of misunderstandings they were and the thinking process that led to them."